Jeff For Banks: Where are The FinTech Darlings Now? Where are The FinTech Darlings Now? FinTech, FinTech, FinTech! That's all I'm hearing. We must be moments away from downloading a gamified banking app via our Google Glass, paying in Bitcoins using Apple Pay! It's like global warming. We all know there is something to it. But look back five years to see what the doomsayers were predicting and you'll have a healthy dose of skepticism about their predictions today. And so I'm skeptical of the FinTech'ers. You know who you are. A banker told me yesterday that if I wanted headlines in American Banker, put FinTech in my copy. So far I'm up to five mentions. And I've used gamified, Google Glass (so passe), Apple Pay, and the piece de resistance, Bitcoin. Perhaps I should have mentioned blockchain. There. I did it. Bank examiner focus moves in waves. Aside from interest rate risk, vendor management is high on the list. If a bank deems a vendor critical to its operation, it must analyze the vendor's financial statements to be confident in its viability. Firms started in the dorm room that have no employees, just an eager volunteer, no revenue, and no capital need not apply. There are frictions to having access to peoples' money in the United States. And I suspect elsewhere. 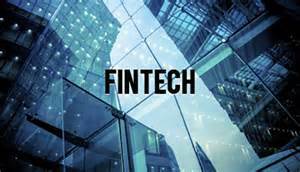 So FinTech (six) firms need capital and revenues to grab a foothold in the financial services market. If looking for a FinTech (seven) partner, follow your vendor management procedures. Will this firm be around in five years? Legit question. So I went to the Finovate 2010 Best of Show to see where these firms are now. I thought you would be interested. Robo Advisors are another buzzword. For SEO, I'm killing it with this post. But among robo advisors, Betterment is emerging as the top FinTech (eight) startup, having opened it's virtual doors in 2008. With more than $3 billion in assets under management (AUM), it recently surpassed rival Wealthfront. But hold on, a recent article on Betterment's accomplishment mentions at the end that traditional fund company Vanguard's hybrid robo advisor offering, Personal Advisor Services, has over $17 billion in AUM. Fear not Betterment! Analysts are predicting the robo advising market will grow to $489 billion by 2020. That's a pretty specific number, isn't it? Analysts must be clairvoyant. BillShrink originally launched as a cost-cutting engine for consumers. It helped users save money across verticals including cell phones, credit cards, cable bills, and savings accounts. It later pivoted into the personalized offers and loyalty rewards space, renaming itself Truaxis. Two years after being lauded as Finovate's best of show, it sold itself to MasterCard in 2012. Can't blame the FinTech'ers (nine) for wanting to make a buck. "Bundle was founded in 2009 with the mission to help people make more informed choices with their money through data insight. In the subsequent three years, we created a collection of content and tools that reached millions of people. 'We were excited in late 2012 to join Capital One, a company with a shared passion for changing the world through data. Through that partnership we are now able to scale our vision and impact millions more people. Bundle's team seeded the NYC office of Capital One Labs, and we have been busy over the past year creating new data products to help Capital One customers. 'We have decided to retire Bundle.com to shift our full attention to Capital One initiatives in service of our mission to Change Banking For Good. Thank you to all of our users over these years who helped to make our community and products a success." What I read: We sold to a bank. Dynamics is a Pittsburgh firm founded in 2007 established to solve point of sale (POS) software fragmentation between credit and debit. They establish the "Chip & Choice", a battery powered card that has multiple EMV chips. Users can press the appropriate button on the card so the POS reader processes the transaction according to user choice. Based on recent press, it looks like Dynamics is morphing into a card fraud protection company, expanding its computer in a card tech to protect us from card scammers. It received $70 million in capital a year ago. Not sure if their technology is out there and they're earning their keep, but they have a lot of money to burn. oFlows was started in 2009, named Finovate best of show in 2010, launched its product in 2011, and sold to Andera that same year. That's quite a run. The CEO got a plum job at Andera, Chief Product Officer. Andera sold to Bottomline in 2014. Lots of business cards. oFlows designed a paperless mobile platform customizable to run the bank/company rules, make offers, fill out forms, get them signed, and manage all supporting documentation such as disclosures. It used iPads, Android tablets, and smartphones as its platform. PayNearMe is a technology that allows underbanked, low income, or those that don't trust banks, to pay their bills in cash at convenient locations like 7-Eleven stores. It recently partnered with nonprofit microlender Grameen America to let its borrowers repay their debts in cash at 7,800 7-Eleven stores nationwide. Near me, users of Philly's bike share program can also pay in cash at 7-Elevens and Family Dollar Stores. According to the PayNearMe website, 28% of US households use alternative financial services, including remote cash payments. We intuitively know that there is a large and growing cohort of US households that don't trust financial institutions. PayNearMe focuses on serving these underbanked households. SecureKey's mission is to build highly scalable, trusted identity networks that enable organizations to quickly and easily deliver high-value online secure services to millions of consumers. 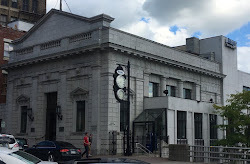 The Toronto-based company allows Americans and Canadians to use their existing banking credentials to access government websites, which are typically used less frequently. The company also supplies the technology for the US governments connect.gov project. In February, the company announced another equity round of $19 million. There's the "where are they now" look at Finovate's 2010 Best of Show winners. Some are doing well, others cashed in their chips. My point, and I do have one, is to not partake in the hubris that seems to be greeting every FinTech (ten) startup that issues a press release. Focus your tech investments and partnerships on where you perceive your customers are going. Because following the FinTech (eleven!) crowd's newest darling can cost you time, money, and your independence. 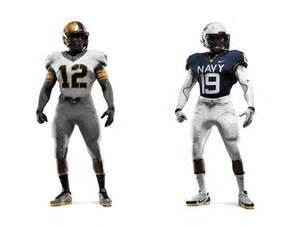 If you want something that lasts, let me suggest the Army-Navy football rivalry, which started on November 9, 1890. I didn't transpose the numbers in the year. What does this have to do with FinTech? Nothing. But the game is about to start!! How About Profits in the Branch of the Future?